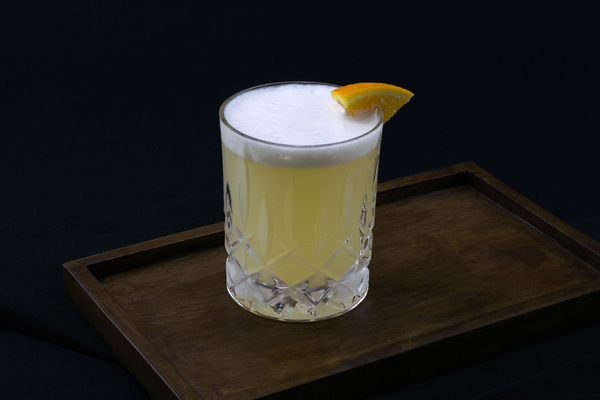 Legendary poet and famed scotsman Robert Burns, Bard of Ayrshire, unofficial perma-laureate of Scotland, and unabashed lover of peat, would not have approved of being called “Bobby”, and he certainly, under no circumstances, would have approved of this cocktail—or any cocktail—for that matter. In fact, “Bobby” is an American nickname; the folks of Great Britain would have opted for “Rabbie” or something similar. 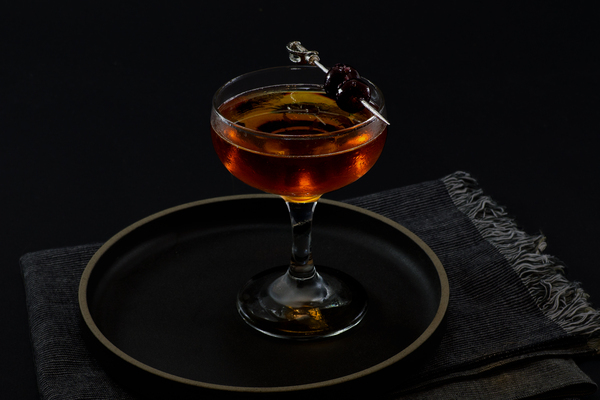 And yet there is something unequivocally audacious about the Bobby Burns: a cocktail that takes a famed scribe, degrades his favorite spirit with various fixings, then pats him on the bum and calls him “Bobby”. Like the history of the cocktail, it’s perfectly arrogant. 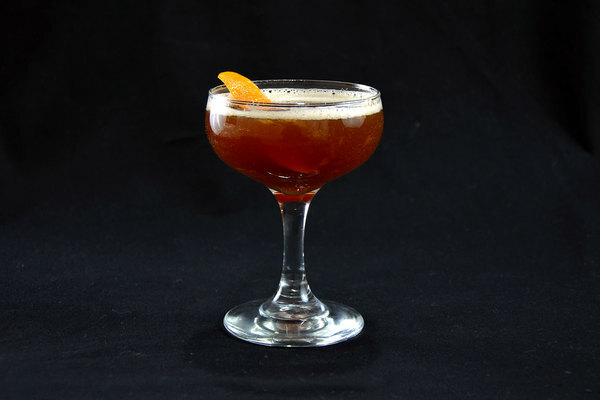 A glimpse into this cocktail's murky past comes from two oft-cited sentences in The Old Waldorf Astoria Bar Book of the 1930’s, which suggest it was not named after the mythical writer, but instead a humble cigar salesman. 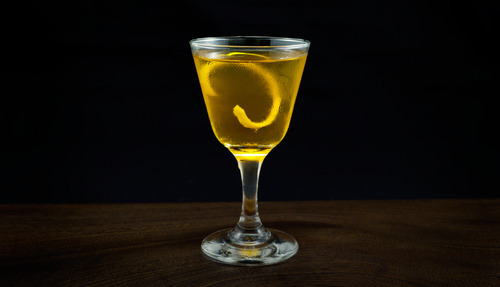 Two versions of this cocktail went into print around the same time: the aforementioned Waldorf recipe, which goes by the name Robert Burns and requests a dash of absinthe and two dashes of orange bitters, and a second recipe printed in The Savoy Cocktail Book, which opts for the less formal moniker, and requests two dashes of Benedictine instead. We’ve always believed that two is better than one, especially when it involves Absinthe and Benedictine, so we’ve opted for both. After all: who are we to split hairs? When paired with a blended Scotch, these two make for a deep and invigorating flavor profile, and we certainly don’t mind the striking similarity to another favorite: the Cocktail à la Louisiane. The idea came from a contemporary rendition served at The Waldorf in New York, so we aren't totally insane. If you are a fan of simplicity, or just worried about mucking up a particularly peaty scotch with Absinthe, then skip it. You’ll be just as happy. Stir this one in a mixing glass over cracked ice until the sides are frosty, and strain into a cocktail glass. Most versions of this cocktail don’t request a garnish, and with scotch, that isn’t a bad idea. When no garnish is requested, we’ll sometimes reach for a small lemon twist: it has a light touch and a nice visual presence, but this suggestion is thoroughly optional.